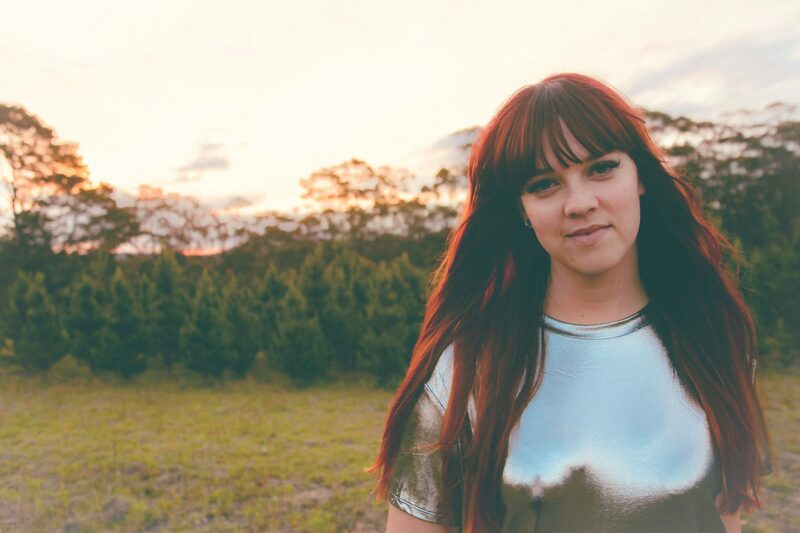 Wollongong born artist Kay Proudlove didn’t intend to write a Christmas song this year, but it’s happened and it’s not what you’d expect. Forget Bublé, bubbles and Christmas baubles, Kay is diving deep into the not-so-shiny parts of this tinsel laden season in her new track ‘Gift Card’ out today. Riddled, as always with clever wit, honesty and heart-on-her-sleeve raw emotion, the single actually doesn’t stray to far from what we’ve come to expect from the rising talent, and is likely to become another crowd favourite when she takes on a string of upcoming live shows this silly season. With a remarkably agile, soul-bearing voice and a wry sense of humour, Kay Proudlovehas always written songs driven by narrative and powered by her love for the art of observation. On ‘Gift Card’, Kay covers everything from the financial and social stresses of Santa’s impeding visit, to the joy of witnessing pure human connection and of course, those thoughtful and not-so-thoughtful gifts – “surprise, it’s a gift card”. Mixed and mastered by Ben Davies at Silver Sound Recording Studio in Wollongong, ‘Gift Card’ is a classic folk sing-a-long, stripped back to its most pure to let Kay’s vocals and message shine through. Kay Proudlove’s live performance style is much like being invited into her lounge room; her songs are truly stories set to melody, by turns relatable, humorous and heartbreaking. The co-ordination that never showed up for Kay on any sort of sporting field has made itself known in a marriage of acoustic guitar and voice, with lyrics that can be equally poignant and hilarious in a single instance. Creating an intimacy between audience and performer through vulnerability, Kay’s live show is likely to leave you wondering whether all of the songs were about you. After touring her live album I Should Have Done This Ages Ago and playing a bucket list of Festivals such as the Woodford Folk Festival, By The Banks Music Festival,Jamberoo Music Festival, as well as supporting artists such as Shaun Kirk, Tom Lee-Richards, Caiti Baker, Stevie Jean, The Northern Folk and more, Kay is excited to be bringing in the festive season with a bunch of live performances this summer.